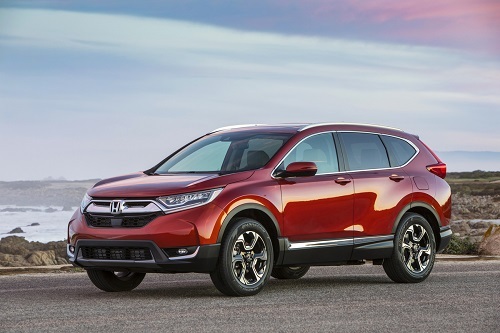 Our Honda Dealership near Palm Springs, CA has the complete line of new Honda cars, crossovers and SUVS. We have a large selection of new Honda Accord, Civic, HR-V, CR-V, Fit, Odyssey, Ridgeline and Pilot models in stock now. Browse our online inventory to see MSRP, trim levels, color options, safety information, vehicle details and photos. In addition to our new Honda inventory, we also offer affordable used cars and trucks for sale. Our used car inventory includes pre-owned vehicles from a variety of manufacturers including Honda. Many of our used vehicles are certified pre-owned models. These Certified Pre-Owned Hondas are just a few years from original production date, have low mileage and are backed by extended factory warranties. Honda financing and leasing is always available at our Auto Finance center. Our finance experts are happy to explain the benefits of buying or leasing a new Honda or help you find affordable used car financing. They can also help you find current factory incentive offers and Honda dealer specials designed to save you money. For Honda service, parts and repair our auto service center is on premises and available for oil changes, wheel alignments, tune-ups, battery checks and more extensive auto repair. We run frequent auto service specials and Honda parts coupons for additional savings on professional Honda maintenance and repair. Please stop by and visit our Honda dealers near Palm Springs, take a test drive and meet the team. We are here to help you with Honda sales, leasing, specials, service and repair. Just let us know how we can help.